3D Building Websites and 3D Community Websites are made up of simple 3D Building Blocks. Just like when you were a child stacking wooden blocks on the floor, we make it easy for you to create 3D Building Websites. to form any 3D structures. 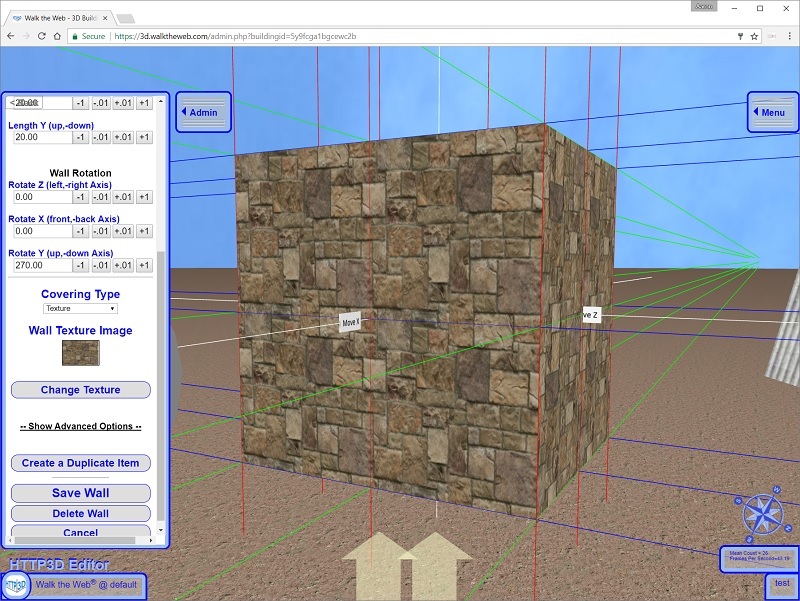 The appearance of each building block can be changed by switching its texture using the 3D CMS. 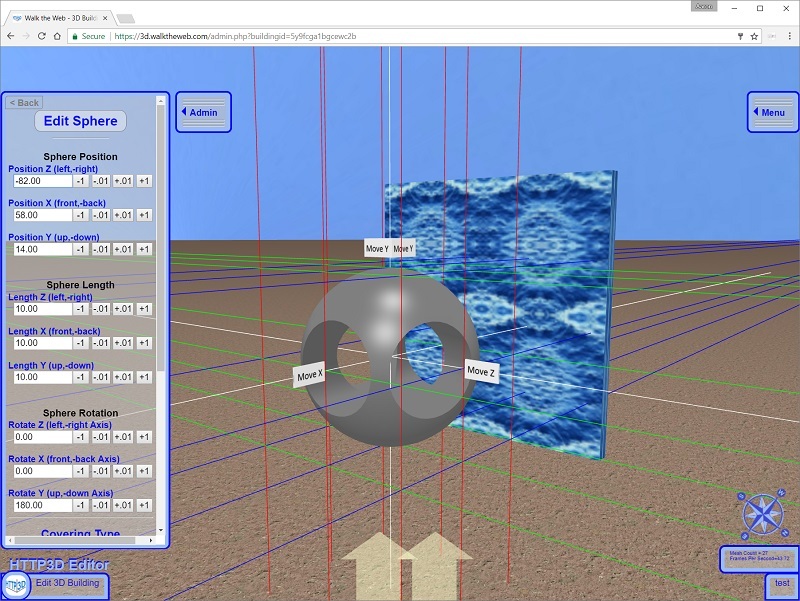 In addition to 3D Building Blocks being able to be combined (Merge Shapes) to form different shapes and structures, we can use Constructive Solid Geometry (CSG) in the 3D CMS to create a possibly infinite number of shapes. Using CSG we can subtract one 3D Building Block from another or intersect them to make a new shape. With CSG, the number of possible shapes becomes exponential! The image above demonstrates a 3D Sphere with two 3D Cylinders cut out of it from different directions. 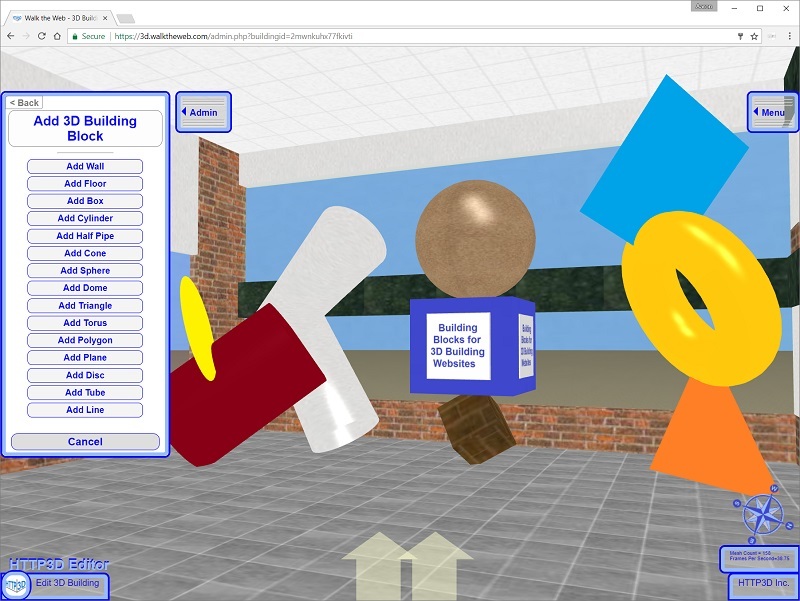 Next, your choice of available 3D Objects are expanded with 3D Web Objects.